Love the shirt. Definitely go one size up. It fits, but is shorter in the torso than I would like. Still, happy to wear it to comic cons. Cute tee. Glad I read the other reviews and ordered a size up. I compared the size chart measurements to one of my favorite tees at home. Nice light weight fabric. Love the shirt and the deltas on the sides. 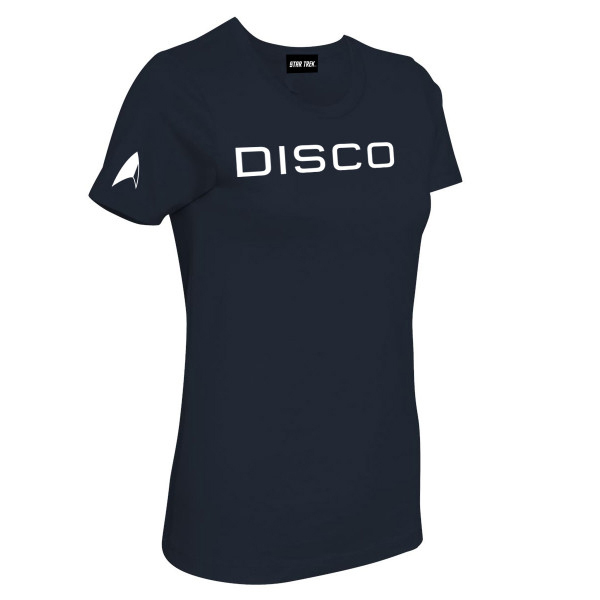 The shirt cut is cute, and dimensions are correct as listed on chart. I am a size 10 and usually wear M size t-shirt, but according to dimension, XL is the one I need. I got XL and it fit perfectly without being tight or look like excess skin. Fantastic shirt! They run small so order a size up. I usually wear a Small and I ordered a Medium and it fits perfectly. 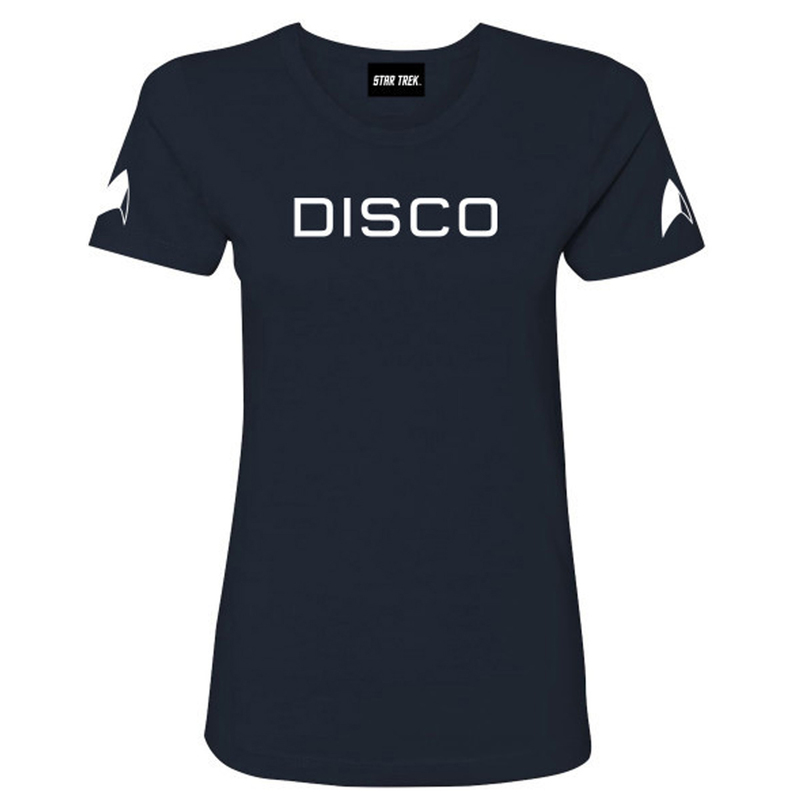 Now I'm straight up a fan girl with my excellent DISCO shirt! Fits true to size, and is super cute! It is a nicely made shirt, but if you wear a 2x in other styles, this is going to be too tight for you. If there had been a 3x I would have ordered it. It's tight, but cute and will be an indoor only shirt. lol I am happy to have it and it is cute. I normally wear a size small but I ordered a medium considering the Slim Fit might be cut even smaller than a typical small shirt. I am glad I did. After many months of waiting, it arrived and it’s beautiful. The size medium is a perfect fit for my 5’4 frame. The material is super comfortable and although not many will understand the reference, it is still a pretty cool looking shirt. At the end, I have my t-shirt! I really like the shirt. It's simple, but elegant and fits very well (at the moment). I like the fabric and the long torso of this product. Although it took a long time to arrive (company ran out), I am enjoying geeking out in my shirt. I even bought a matching one for my kiddo! Great T-Shirt (bought for my wife) but PLEASE note one important phrase MISSING from the description above. 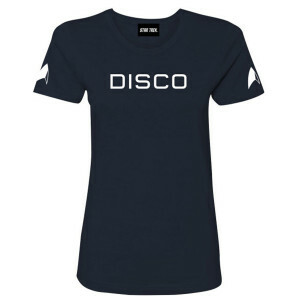 It is not (as it says on this webpage) Star Trek Discovery Disco Women's T-Shirt. 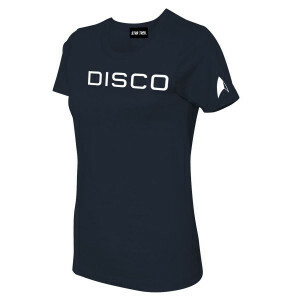 It IS in fact: Star Trek Discovery Disco Women's SLIM-FIT T-Shirt The link emailed to me to write this review calls it the Slim Fit, but the page you order it from (this one in fact) does not. Wonderful shirt, looks just like the one on the Discovery series and fits very nicely. Runs small! I wish I had ordered two sizes up. Otherwise I really like it a lot.